Watch your favorite programming on your time. You can use DVR features even while watching live TV because the DVR temporarily stores in memory whatever program you're watching. So now you can take control of live TV to pause, rewind, and more. Press to rewind back to any part of a show already in memory. Press to skip back 10 seconds. Press up to five times to increase the rewind speed. Press to skip forward past a previously viewed portion of a live TV program. Press to jump forward 30 seconds. Press up to five times to increase the fast-forward speed. Press to pause the action for up to 30 minutes. Press a second time to resume the programming. Press after you have paused or rewound to return to live TV. You can rewind live TV for up to 30 minutes on the channel you're currently watching and the previous channel watched. To go back and forth between channels, just press . Whenever you pause, fast-forward or rewind a live or recorded program, this helpful feature appears. It shows you how much of a current show is in memory, what point of the show you're watching now and how far behind in the live program you are. Press on your remote to go to "Recording Options". Select "Record" at the bottom to start recording. A message will appear in the top right of your screen letting you know the recording is scheduled. You can see that a program is recording when a red dot appears with the program information in the guide and info bar. Press on your remote to bring up the main menu. Scroll to Guide and press SELECT. Find and highlight the program you want and press to go to "Recording Options". Select "Record" to schedule the recording. 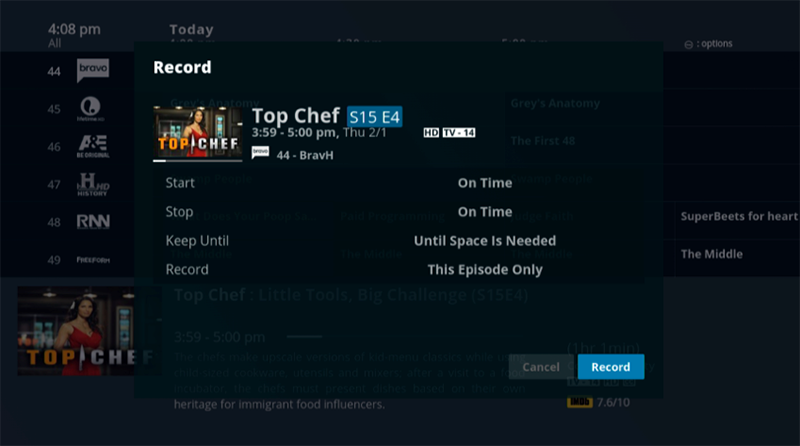 Press DVR on your remote or select DVR from the main menu. Highlight "All Recordings" and use to navigate to the results. Highlight what you want to watch and press SELECT. Highlight "Play" and press SELECT. Recording options vary depending on whether you're scheduling a one-time recording or a series recording. To learn more about recording options, click here. 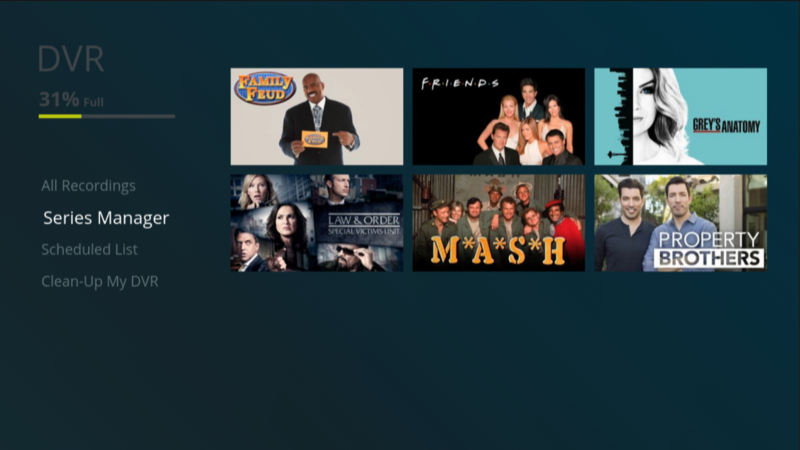 Cloud DVR automatically groups programs by title and puts them into folders for easy access. You can tell your programming has been grouped when a folder icon appears in the top left of the programming artwork. Highlight the folder and press SELECT. 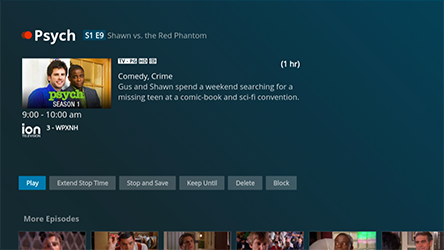 Find and highlight the episode you want to watch and press SELECT. Series Manager: Allows you to view and modify recording options for each of your series recordings. Scheduled List: Displays a detailed list of future programs to be recorded. Here, you can view, edit and cancel individual scheduled recordings. Clean-up My DVR: Allows you to delete multiple recordings quickly. A screen appears, with a list of all of your recordings. To delete, simply highlight a program and press SELECT on your remote. 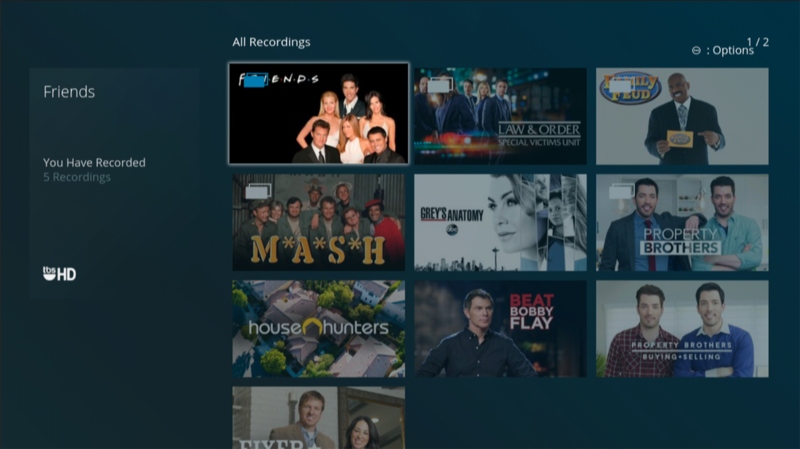 Cloud DVR will record the program regardless of the parental control settings. However, if a recorded program has a parental control block, you will not be able to play it without first entering your PIN. To learn more about parental controls, click here. You can manage your DVR from almost anywhere using the Altice One App.